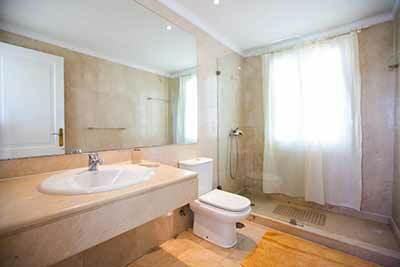 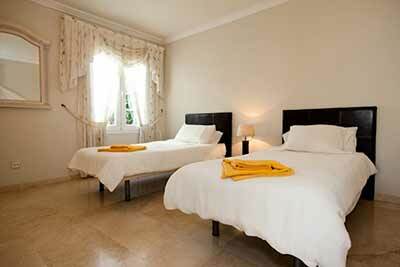 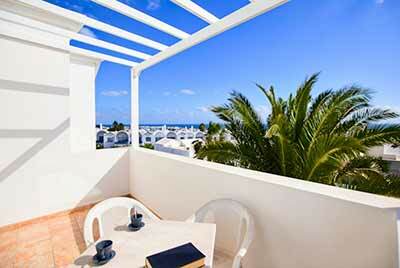 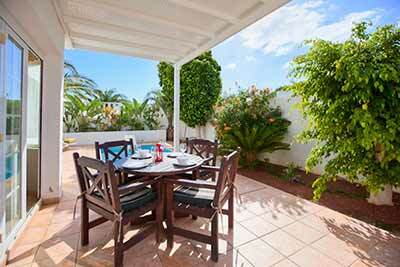 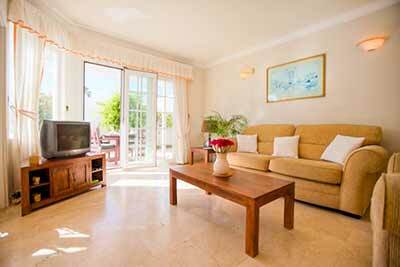 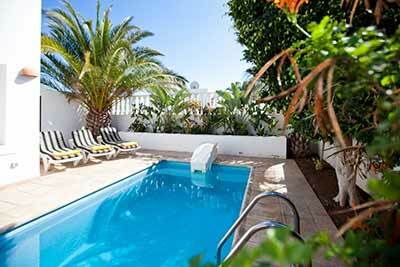 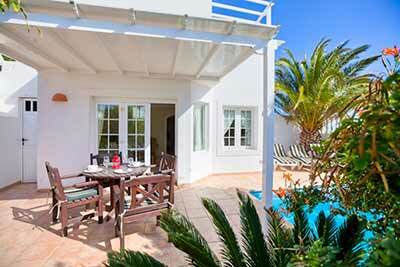 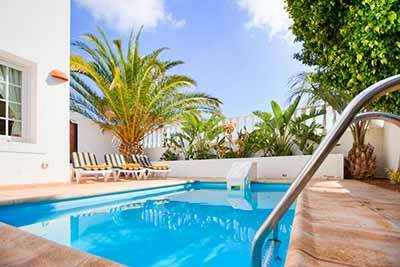 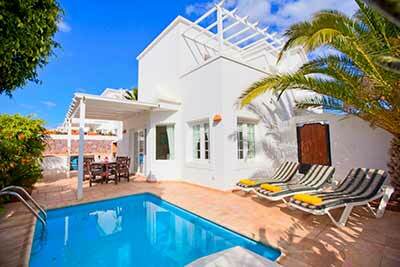 This two bedroom villa is located in the Los Mojones area of Puerto del Carmen in Lanzarote. 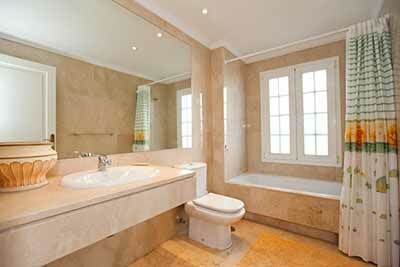 It is laid out over 2 floors, but includes a bedroom and bathroom on the ground floor. 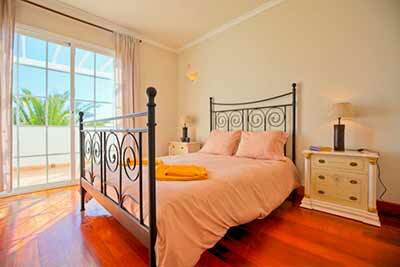 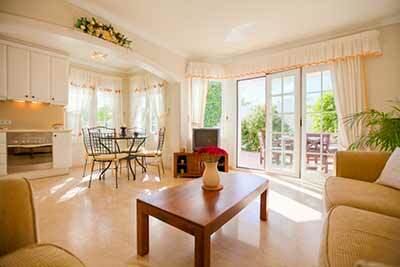 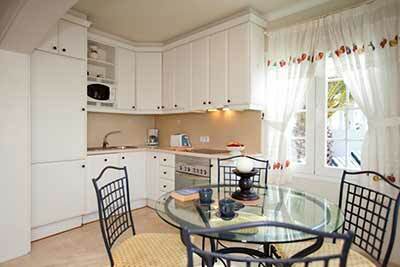 The the terrace off the master bedroom on the top floor enjoys a sea view. 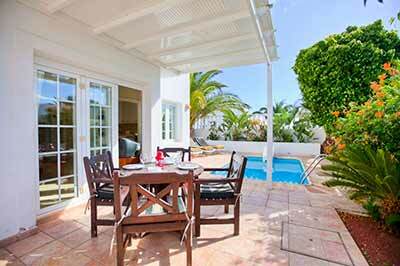 Outside there is a private pool surrounded by sun terraces with a portable barbeque.